MetTel launched into the IoT business several years ago, when it was referred to as M2M – machine-to-machine. The company quickly began to get engaged and provide complete end-to-end solutions to our customers that go beyond just connectivity. 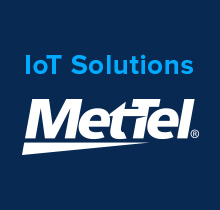 Today, MetTel offers our customer base solutions to real-world business process issues, and take them from component design, through secure connectivity and eventually data analytics that can help them make better business decisions. By taking a more active role in supporting our customers' business process improvement initiatives, we can identify areas of improvement and address them by launching products like Single SIM. 0	jplist-folder-All-Posts-20239 jplist-folder-All-Posts-20239 Video-Video	jplist-topic-Iot	0	02/16/2018 13:42:39	A Single SIM for Any IoT Device The World’s First Single SIM that Roams for the Strongest Network Globally MetTel’s new IoT Single SIM intelligently roams to find the best mobile signal in any location around the globe, ensuring the best possible connectivity. With over 650+ carriers and roaming agreements in more than 165 countries, MetTel now provides a simple and easy global, multi-network solution. By roaming for the best signal, MetTel’s Single SIM virtually eliminates any possible points of failure. 1	jplist-folder-All-Posts-20239 jplist-folder-All-Posts-20239 Brochure-Brochure	jplist-topic-Fleet jplist-topic-Iot jplist-topic-Transportation jplist-topic-Trucking	0	02/14/2018 08:10:11	Connect and automate your entire enterprise fleet and all mobile workers. Our easy-to-use solutions increase your visibility and let you manage more efficiently by measuring and automating work in the field. MetTel's Fleet Management Solutions eliminate messy paperwork and provide your mobile workers with the tools they need to do their jobs correctly. 2	jplist-folder-All-Posts-20239 jplist-folder-All-Posts-20239 Research-Report-Research-Report	jplist-topic-Telehealth	0	02/14/2018 08:03:31	Health Recovery Solutions (HRS) has made great strides in solving the readmission problem, and HRS is gaining national attention for its clinical successes and commitment to significantly improving outcomes for both patients and hospitals. 3	jplist-folder-All-Posts-20239 jplist-folder-All-Posts-20239 Case-Study-Case-Study	jplist-topic-Telehealth	0	02/14/2018 07:56:22	New York City-based Health Recovery Solutions announced that its tablet-based program reduced the 30-day readmission rate for 130 congestive heart failure (CHF) patients at Penn Medicine’s Penn Care at Home program by 53 percent.